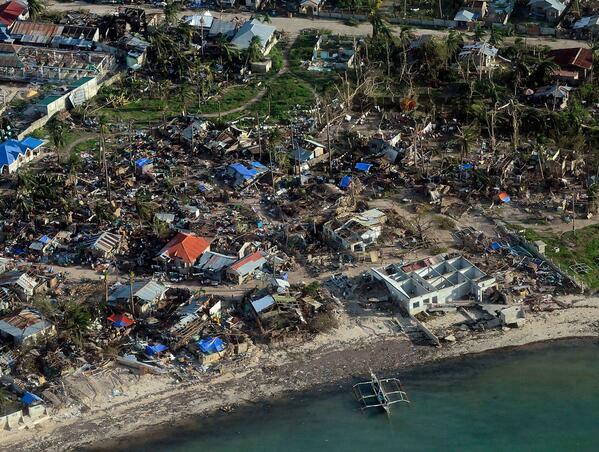 Unconfirmed estimates of the death toll in the wake of the destruction wreaked by super-typhoon Yolanda (Haiyan) in the Visayas have reportedly climbed to an "estimated" 10,000. Wire reports quoted the city administrator of Tacloban suggesting that the death toll could reach 10,000 in his city alone. A police official gave an identical estimate, citing the governor of the area, who had spoken with officials in villages that had been hit, according to wire reports. The government disaster agency said it could confirm only about 150 deaths so far from Typhoon Haiyan, although the president said he expected the number to rise significantly. The Red Cross in Manila said earlier on Saturday that its people on the ground were reporting an estimated 1,000 deaths on Leyte Island, where Tacloban is, and about 200 on the neighboring island of Samar. According to NDRRMC executive director Eduardo del Rosario, "Tacloban City is 95% devastated." Tacloban, a city of more than 200,000, is the most populated area within the area hardest hit by Yolanda. President Benigno Simeon "BS" Aquino III was reportedly "dismayed" by these reports. President Benigno Aquino III on Sunday walked out of a disaster council meeting in Tacloban out of frustration. According to radio dzMM’s Edwin Sevidal, Aquino was visibly dismayed with reports given to him by officials of the National Disaster Risk Reduction and Management Council (NDRRMC) on the state of Leyte, in particular Tacloban, where thousands are now feared dead after the onslaught of super typhoon Yolanda.